1993. Alba House, Society of St. Paul. This autobiographical account of the last years in the life of the internationally acclaimed founder of several Boystowns and Girlstowns – in Korea, the Philippines, and Mexico – is as moving as it is inspiring. In it the author recounts his ongoing battle with Lou Gehrig’s Disease (ALS) while trying to maintain and staff his growing number of homes for orphaned youngsters, a residential village for destitute, homeless, and handicapped men, two full service hospitals, a fledgling congregation of religious women, the Sisters of Mary and another of men, the Brothers of Christ. Christ’s presence in the poor: that is the reality to which too many Christian eyes are dimmed. Yet all our talk of reform and renewal will come to naught unless the Church – and we are the Church – faces the challenge of poverty. Today the Church is, in the eyes of most of the world, almost a middle class phenomenon, the Comfortable Church. This disturbing book should shake our complacency. There is urgency and holy anger in its pages. But time is running out, and there is need for the anger and anguish of concern. The work raises questions in stark perspective and tells us that unless the Church becomes the Church of the Poor, it cannot hope to speak to modern man. 1967, Doubleday & Co., Inc. 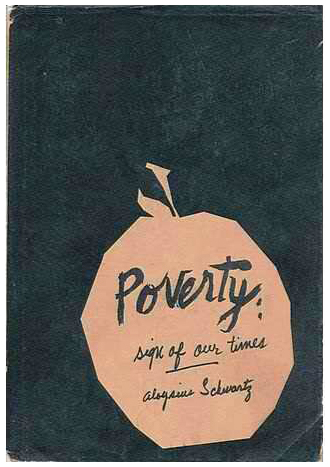 Although this book is autobiographical in form, the story of the author’s life is only the backdrop against which is played out the drama of “the starved and the silent” people of Korea – a drama of privation so complete and despair so intense as to be almost beyond the imagination of a member of “the affluent society.” Father Schwartz explains first the circumstances which led him to become a parish priest in Busan, Korea, rather than a missionary; then he describes his parish activities as pastor, economist, social worker, and psychologist among a people incredibly different from us in their way of life, their needs, and their goals. 1991, Government Institutes, Inc. Rockville MD 20850 U.S.A. In the book, Msgr. Schwartz laid down carefully the manner in which he perceived that the Sisters of Mary, his spiritual daughters should fulfill their vows. The book which is to be studied during the novitiate of the religious of the Sisters of Mary first explained that the novitiate of the Sisters of Mary is a working novitiate as based from Christ’s novitiate which was action oriented (Christ and His apostles).